Your donation provides 3 meals a day, 7 days a week, 365 days a year. You helped serve approximately 45,000 meals this past year. 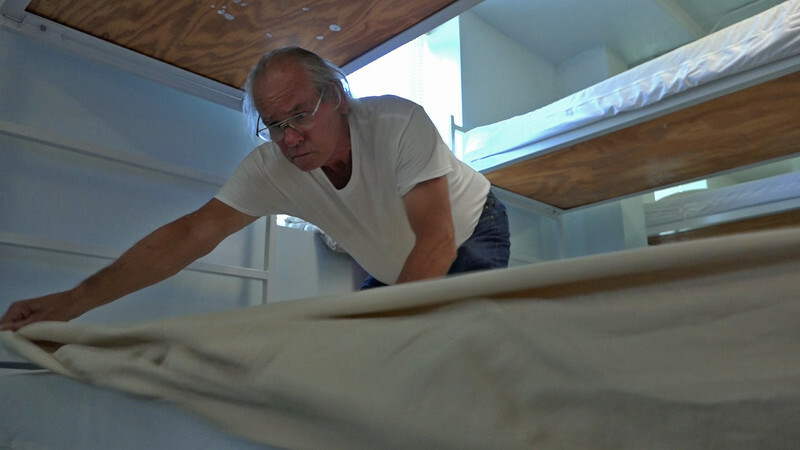 You provide 76 warm beds for homeless men to sleep in and get out of the cold. You provide recovery services to help men overcome their addictions, and regain control over their lives. You share God's love as you meet each lost and hurting soul with a message of forgiveness and an opportunity at new life. 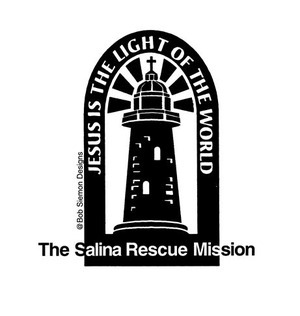 To provide through Christian ministry food, shelter, clothing and other basic needs; and offer the rehabilitative teaching of the Lord Jesus Christ. 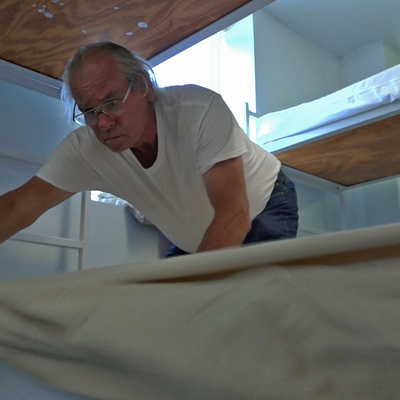 To provide rehabilitative services to homeless men to help them get back on their own two feet. Like you, our deepest desire is to help homeless men change their situation and be able to become gainfully employed and return to being a productive member of our community. 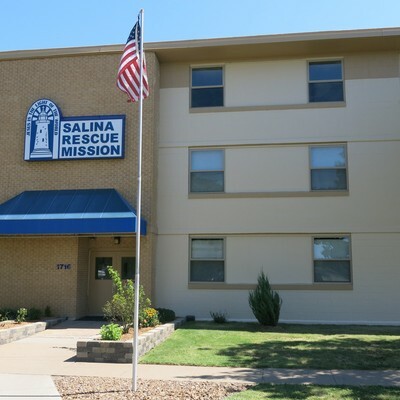 Thus, we have setup our programs based on the abilities, needs, and struggles of our shelter guests to help them overcome their difficult situation and return to independent living. 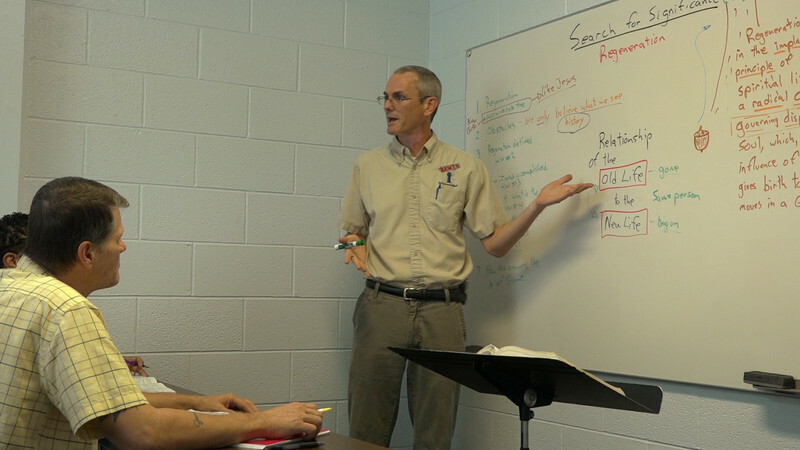 Our Guest Employment Program focuses on helping the men to become gainfully employed, learn how to budget their money, pay off debts, and save money. While in this program we seek to learn more about each individual man and the struggles he has had. We help him to find productive ways of overcoming those struggles whether it be drugs/alcohol, other addictions, emotional and mental health issues, and relationship conflicts. We seek to give each man the tools he needs to succeed in life. Our New Life Program is a comprehensive recovery program that takes 12-18 months for a man to complete. 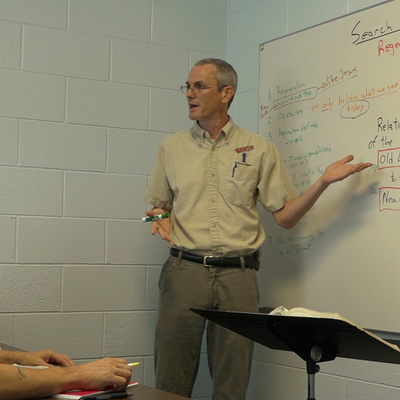 This is a Christ-centered program helping each man to understand who he was created to be by God, how the Bible can help him in daily life, and begin building a foundation for a new life. Our Medical / Mental Health Program focuses on working with men who cannot work due to the severity of their physical or mental health issues. Our first goal is making sure they are getting the professional help they need to be as healthy as they possibly can be. Once a healthcare plan has been secured we then work to establish goals working towards eventual independent living or in some cases, assisted living options. 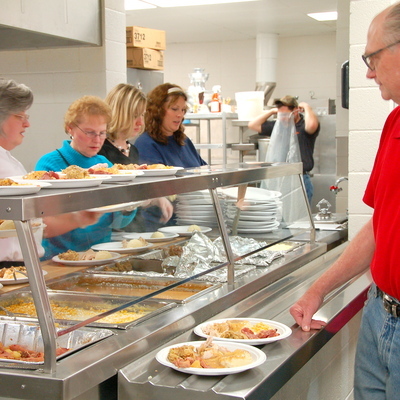 Our Food Service Program serves more than just the homeless men who stay at the Mission. 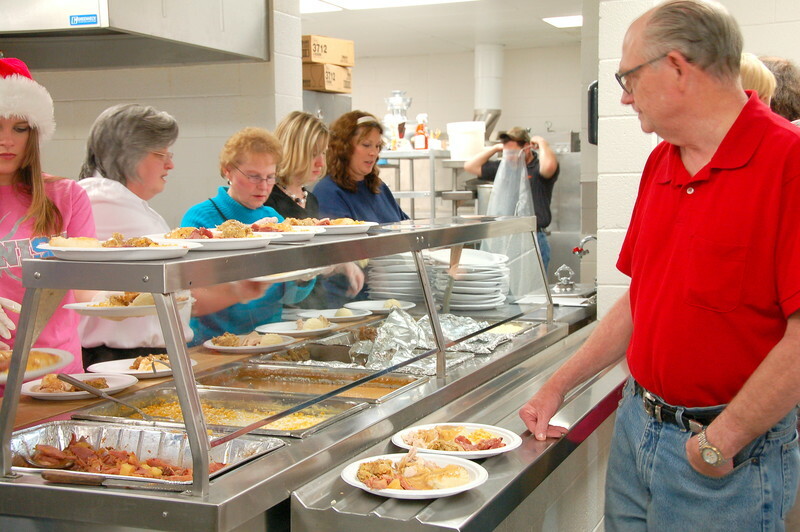 Our lunch and supper time meals are open to ANYONE in the community 7 days a week, it is common to see men, women and families who live in the community and struggling to make ends meet come to the Mission for a hot nutritious meal. The breakfast meal is for shelter guests only. Through your donations you provide 3 meals a day, 7 days a week, 365 days a year. The best part of this for us is that we get to provide all of these great services with love in a way that brings glory to God. This past year, 74 men either accepted Christ as their Savior or rededicated their lives to Christ at the Mission. All of this is just the broad strokes of what you help us to do. There is so much more we could share. 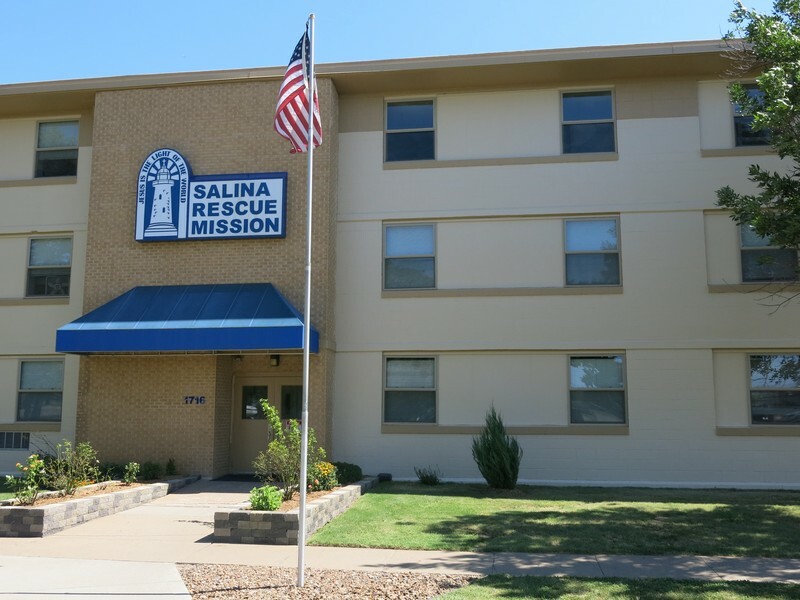 Contact Chad Young at the Mission (785)823-2610, he would be glad to give you a tour and share personally the difference your gift makes. Providing 45,000 meals a year.